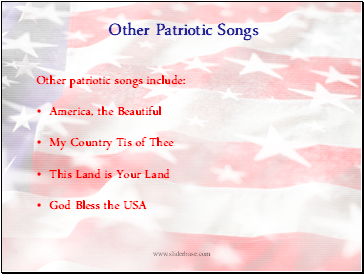 America has many different symbols that are unique to our country and represent the freedoms that we enjoy. 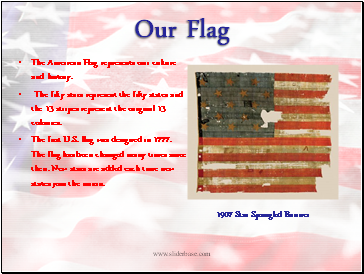 The American Flag represents our culture and history. 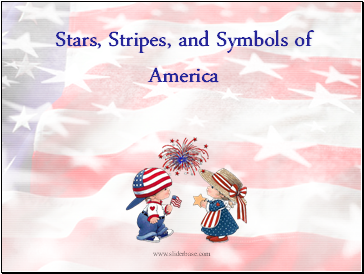 The fifty stars represent the fifty states and the 13 stripes represent the original 13 colonies. The first U.S. flag was designed in 1777. The flag has been changed many times since then. New stars are added each time new states join the union. 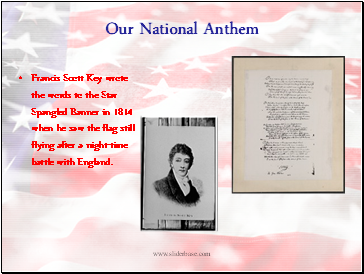 Francis Scott Key wrote the words to the Star Spangled Banner in 1814 when he saw the flag still flying after a night-time battle with England. 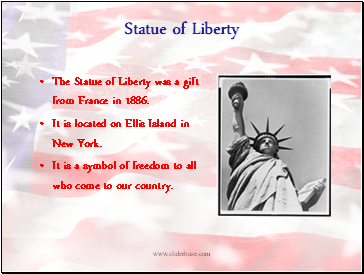 The Statue of Liberty was a gift from France in 1886. 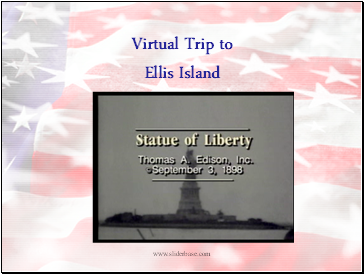 It is located on Ellis Island in New York. 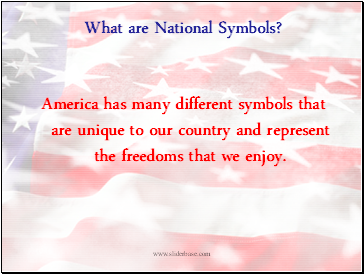 It is a symbol of freedom to all who come to our country. 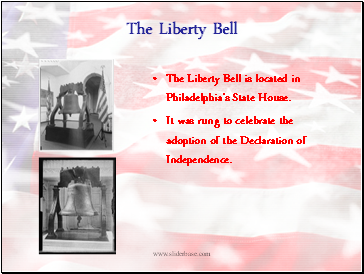 The Liberty Bell is located in Philadelphia’s State House. It was rung to celebrate the adoption of the Declaration of Independence. 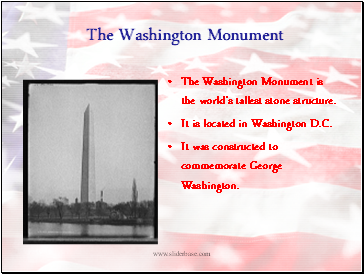 The Washington Monument is the world’s tallest stone structure. It is located in Washington D.C. It was constructed to commemorate George Washington. 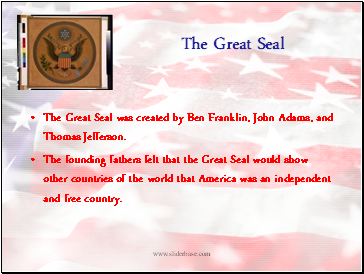 The Great Seal was created by Ben Franklin, John Adams, and Thomas Jefferson. The founding fathers felt that the Great Seal would show other countries of the world that America was an independent and free country.